Hydrotherapy is a classic method of employing water to promote wellness and healing. This can improve strength, improve the immune system, equalise circulation and increase metabolism while improving digestion and elimination. We offer this in the form of a HydroCo wet table with encapsulated steam and Vichy jets. We also offer a double hydrotherapy whirlpool enclosed in a private deck of our couple's room. Please note treatments with a * include hydrotherapy. 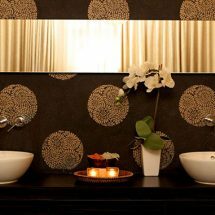 Enjoy a total spa experience with a neck back and shoulder massage and the delights of a Spa Facial and then finishing off with a Tropical Spa Pedicure… Lots of massage!! 130 minutes. This is for one person only. Please phone 03 548 0030 to enquire for two people. This treatment hydrates dry skin leaving the body with a beautiful “island glow”. The skin is gently dry brushed and warmed tropical oil is generously applied. 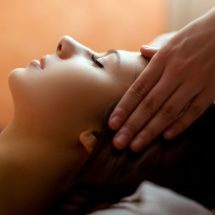 The body is wrapped with hot stones while a warm oil scalp massage relieves tension hydrating the skin and detoxifying the system. You will leave with your mind renewed and your body restored. The amazing mamma massage from Pure Fiji. A relaxing full body pregnancy massage to transport you and your bump to a tropical island paradise. 90 minutes. 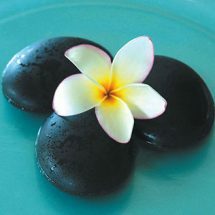 Bliss out with our Pure Fiji Island Wrap signature treatment which includes being wrapped with hot stones and a warm oil scalp massage combined with an exotic Pure Fiji facial. 100 minutes.